The Pension Fund saga continues. Just around this time in 2015, a group of concerned UN retirees initiated a petition to the UN Secretary-General, urging him not to accept a revised MOU pushed by the Fund CEO and to stop plans (reported in the media) by the Representative of the Secretary-General for Investments (RSG) for increased Fund investments in hedge funds, both of which posed potential risks to the health of the 65 year old Fund. In total, 16,000 Fund participants and beneficiaries signed two petitions (13,000 signed the first petition, initiated in May 2014 by the UN Geneva Staff Union; and 3,000 signed the second, initiated by UN retirees in New York in May 2015) and in July 2015 the USG for Management, Yukio Takasu placed the revised MOU on hold. In addition there were accusations of fraud against the Fund CEO accompanied by impassioned denials. Throughout the saga, the AFICS/FAFICS President has stalwartly protected the CEO’s rear guard, or ‘had his back’, as the saying goes, as well as dismissed retiree concerns about the MOU and possible riskier investments. All the recent news has been about serious and protracted delays in processing pension payments for new retirees. Snippets of information have come from various sources. According to the Fund website, the problems are caused by delays in integrating technology and by inadequate documentation submitted by retirees or by their HR directors in the various agencies. The AFICS/FAFICS President strongly concurs, and says she’s doing everything to resolve the problem with the CEO. Where do things stand now? Has the CEO given up on a new MOU? What is the status of staff/management relations in the Fund, and their impact on client servicing including the current serious processing delays? Why, as noted in the Fund’s last report to the Fifth Committee was there an under-expenditure in the 2014-2015 biennium of almost $2 million on staff and equipment and what impact has that had on the current inefficiencies in the Fund? Is what we're hearing correct -- that the unfilled posts are at the P level on the Investment side of the Fund, and that what are needed to address the backlog are support level posts, which have to be approved by the Pension Board? What is the status with riskier investments? Does the fact that there are no further media reports mean those plans are on ice (along with the MOU)? The letter also notes with regret that requests to the Pension Board Chair for "an urgent extraordinary meeting to address the current situation and make sure it never happens again" have so far been declined. This is particularly troubling if the information we're hearing is correct, i.e., that Board approval is needed to approve additional support-level posts to address the backlog. 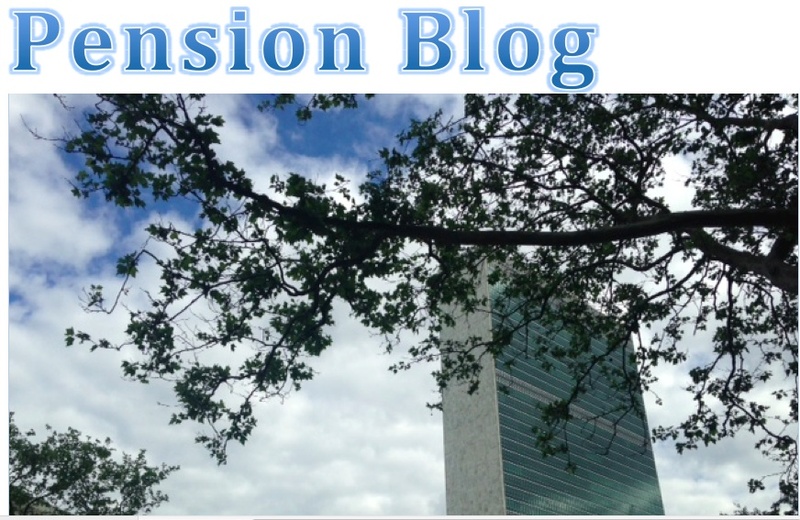 Word is that UN HR directors, irritated that the CEO has attempted to deflect responsibility for Fund inefficiencies by his claims that late and inadequate document submissions from their offices are partly to blame, are drafting their own letter. It’s not over ‘til it’s over. Some of these issues may be on temporary hiatus but they haven’t disappeared. They need all the concerted vigilance we can muster. Kudos to our representatives, Ian Richards, President, CCISUA; Diab El-Tabari, President, FICSA; and Dimitri Samaras, President UNISERV, for taking this united and principled stand to protect the rights of all former and current UN staff against forces that seem determined to move in directions counter to the values and principles on which the UN stands.